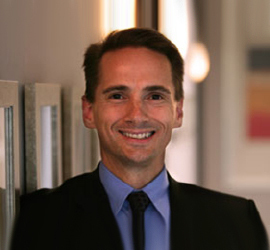 Dr. Brian Parker provides a wide range of cosmetic surgery as well as non-surgical procedures to his patients. Many of his patients like to share their experiences with others on social media and popular websites such as RealSelf. Experienced and qualified plastic surgeon Dr. Parker provides various procedures to patients in Las Vegas and surrounding communities. Dr. Parker takes his time with patients (so much so that you may be waiting for him for a while!) But, he makes sure to set your expectations correctly and takes into account any pictures you bring along at your pre-surgery consult. His stitches are PERFECT, which is why I used him to revise my mastopexy scars (revision lift). After care follow up is exceptional. There was additional sagging in my breasts, which he re-did for a very fair price in his office surgery room. Free Initial consultation where procedure is explained and estimate of cost is provided. No pressure. Appointment two weeks before surgery for all pre-op requirements. Meeting with you prior to the surgery to answer any questions and explain what is going to happen. Follow-up appointment the next day after surgery. Appointments twice a week to check drainage, swelling, and answering any questions – never rushed. You might have to wait a while to see Dr. Parker; however, he makes you feel as though you are his only patient during your time with him. Once drainage had subsided, he saw me a few more times and then released me. Dr. Parker and his staff are top notch and I would never go to anyone else. Dr. Parker is wonderful. He is completely invested in his patients from start to finish. I would recommend him to anyone. Great experience overall. I couldn’t be happier with Dr. Parker. Very professional but charming at the same time. He made me feel very comfortable from initial consult to my final follow up visit. I would highly recommend Dr. Parker for this procedure. Dr. Parker is amazing!!! I have nothing but positive things to say about this surgeon. He put me at ease at every appointment and treated me with professionalism and accurate information. The day of the surgery he’s literally erased my lines 8 times! Because of this, for lack of a better word, I have perfect breast augmentation. I recommend Dr. Parker to anyone and everyone I speak to. He is AMAZING!!!!!! I Love Dr. Parker and His Staff! Dr. Parker was professional and courteous. He answered all of my questions and was very nice. He even has a great sense of humor. Corrective surgery to my lips. Dr. Parker has amazing bedside manner and cares about the outcome of not only his work, but also his patients. 5* Stars for AMAZING PRE and POST OP CARE! Dedicated cosmetic surgeon Dr. Parker receives patients from Las Vegas and nearby areas for a variety of plastic surgery and non-surgical procedures.